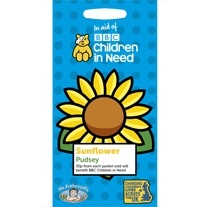 We are delighted to announce our new partnership with BBC Children in Need, launching two seed packets for children – Sunflower Pudsey and Pumpkin Pudsey. 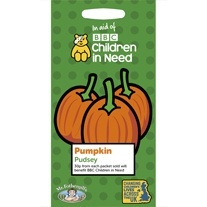 30p from each packet sold will benefit BBC Children in Need, to help make a real difference to the lives of children all across the UK. Let’s join together and have some fun growing the tallest sunflower and scariest pumpkin.